Home maintenance may not be something that gets you excited and out of bed, but there are a lot of reasons why you should have a systematic approach to this. In this extensive article, we’ll not only talk about the different types of maintenance you need to include in your checklist, we’ll also quickly walk you through the benefits of such a systematic approach. If you want to make sure that your house not only maintains its value but also increases in value, regular maintenance is needed. Without proper maintenance, you will start to experience the wear and tear at some point, and in addition to that, by continuously being on top of the things that need to be dealt with, you are more likely to avoid major repairs that will cost you dearly. 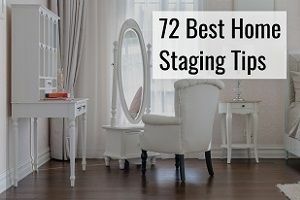 The same way that you go to the dentist for periodic checkups and to make sure there aren’t any holes, you need to make sure your homes are also in good condition. If you decide to sell your home in the future, you will want to make sure the house does not look run-down. In fact, there are certain things you should consider doing before selling to ensure you get the best price possible. 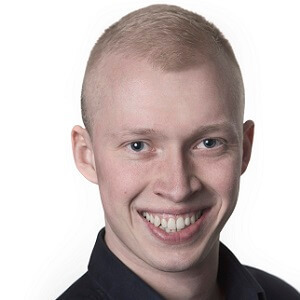 Without continuous maintenance you will also land in a situation where there’s suddenly a lot of things that need to be done, if you try to play the catch up game when selling. Catching small issues early on will save you a massive headache later on. Good home maintenance will also lower your energy bill and make you save money. Air leaks may get worse over time, meaning your HVAC system needs to work so much harder to keep up. Not only will it mean you spend more money on heating and cooling, but it could also decrease the lifespan of some of your appliances. Ensuring that you weatherstrip the house will increase its energy efficiency, and it may be beneficial to get a professional energy audit. Good maintenance will also make your house safer by decreasing the risk of electrical failure, which caused 420 civilian deaths too. To stay on top of fire safety, read our guide on the topic. 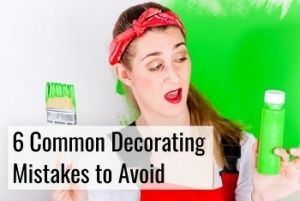 If you do a little maintenance every now and then it will mean you avoid it piling up, which may just end up seeming like a situation you cannot handle. Finally, it also means your home keeps its good looks and keeps impressing your neighbors and friends. 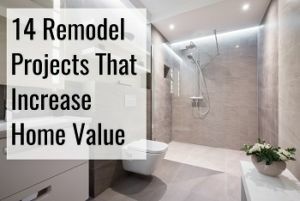 While remodeling is inevitable down the line, there will be much less work if you simply keep repairing and maintaining the things that need a little work, and most of these things are not even hard to do, even if you only have a very small handyman living inside of you. Not doing proper maintenance will lead to accelerated failure of different building materials in your home. The following sections have been divided into when you need to do the different tasks, and most of the information will contain additional links to ensure that you can easily find out how to do them yourself. Fall is when the leaves on the trees turn really pretty, but those leaves may also prove a nuisance at your home. At least there are different things you will need to do during the fall. Clean and stow away your mower – use fuel stabilizer to make sure the fuel doesn’t degrade and damage your mower. Get additional tips on cleaning your lawn mower. Check your fireplace – it is a good time to check that everything works properly with your fireplace and that no birds have made nests inside it. It’s important to ensure that the damper is working as it should be, and if there are any problems, getting a pro to check it out is the best solution. Here’s a list of things to be on the lookout for that could be wrong with your chimney and fireplace. Trim the trees and plants around your house – there are a couple of reasons you will want to do that. One is to avoid water potentially falling from the tree onto your house and leaking into your home which could cause issues. Secondly, by having big branches too close to your home, you’re inviting one of them to snap off and create a leak in the roof that you will need to fix later on. Here’s a list of safety tips you need to be aware of when you’re removing branches and trimming trees. Make sure your furnace is working – it will soon be colder, and your furnace will have work to do. Before you actually desperately need the furnace, it’s good to ensure it’s ready for the job. Changing your air filters is something you’ll need to do regularly, but most people don’t do it sufficiently often. We recommend that you use a service like FilterEasy to make sure you change the filters on time. A yearly furnace checkup may seem like a lot, but there are many things that need to be inspected. Check your home’s drainage – you just want to make sure that excess water is lead away from your home to avoid it causing problems with the foundation. Making sure the water is lead away from the house will decrease the risk of running into moisture issues. Inspecting your roof – once in a while your home will need a professional roof inspection, but some things that you need to look out for like rot, moss, missing shingles, issues around roof valleys, roof flashing deteriorating, moisture in the insulation and more. Clean your gutters – there’s probably been things that have fallen into your gutters. You will want to make sure the gutters are clean so they can do the job they’re supposed to. If you’re not a fan of having to clean the gutters each year, now may be the time for you to install new gutters, like gutter leaf guards. 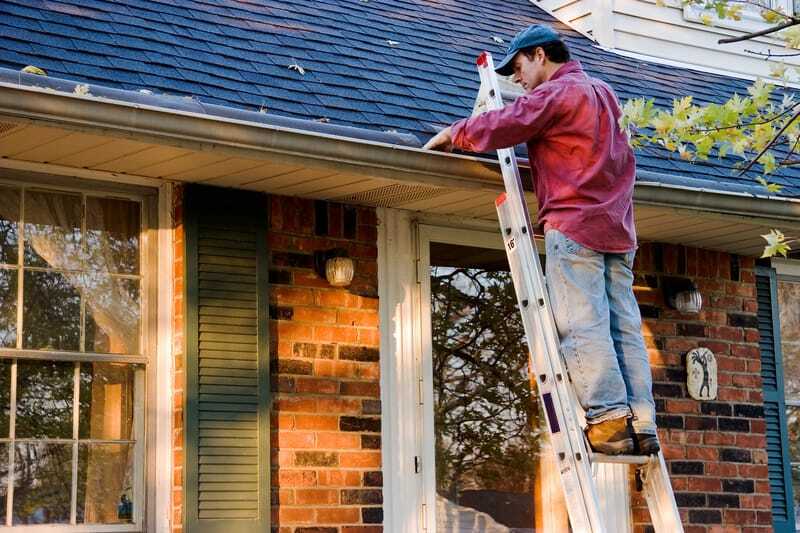 Be sure to stay safe while cleaning your gutters. Make sure your home is not leaking air – air leaks can be expensive and should be addressed. You don’t want to pay to heat the outside during the winter, and air leaks will drastically affect your home’s energy efficiency. Here is how you can find air leaks in your home. Avoid bursting pipes – this means you’ll need to drain your sprinkler. If it freezes, the water will expand and it may burst the pipes. If your system has drain valves, use these to get the water out. If not, get someone to use compressed air to get rid of the remaining water. You should also shut off exterior faucets. This video explains the steps of draining your sprinkler. Make sure that hoses aren’t attached to faucets – again, a measure taken to avoid pipes bursting. You don’t want water to stay in the pipes, and if you leave the hose attached, there’s a risk of that happening. Generally, you will want to make sure to take actions ensuring that none of your pipes burst. Check your winter supplies – this includes making sure your snow shovel is ready, having a solution ready that can thaw ice, and turning on your snow blower and see that it works. Here’s a more extensive list of winter supplies you need to make sure to stack up on. Walkways, railing and stairs should be safe – go around and make sure they’re all in good working order. Finding potential hazards is not hard with this guide. Cover or remove a window air conditioning unit. Remove leaves – if you have a leaf blower, this is not a big task, but leaving too many leaves on your lawn can mean that it’ll suffer in the spring and not grow properly. Make sure the job is done right and safely. Address any external problems – see any issues with the roof, siding or foundation? Get a pro to look at them immediately and figure out what needs to happen. You may appreciate our guide on properly inspecting your home. Clean dryer vents – it may not be the most fun job, but here’s how to do it. Make sure there are no places that mice can enter – if it’s getting colder outside, mice will want a warmer place to stay. You don’t want to end up with a mouse infestation, and luckily there are things you can do. Check the different safety devices – this includes smoke detector, the expiration date on the extinguisher, and checking your home for radon, which can be very dangerous. Winter’s around and this is the time most people like spending inside with something warm and cozy. But there’s maintenance to do. Bring out the salt – if you haven’t already prepared the salt to thaw ice, now’s the time to do it. Store your tools – there are probably a lot of tools you will not be using the winter. These should be properly stored during the winter. Bring plants inside – if they can’t handle the cold, be sure to bring them inside. Bring pots inside – you may have pots that are unable to handle the cold. If they can’t, make sure to either protect them or bring them inside in the heat. Protect outside furniture – You can either cover it or bring it inside, but the winter elements may otherwise take a heavy toll on your beloved furniture, and it can either affect the wood, or the metal parts may start rusting. Ensure outdoor lighting is working – if you want to be able to see, as well as lower the risk of slipping on ice, it is a very good idea to make sure that both lights as well as sensors are working the way they should. Here are more tips to stay safe in the winter. Test out your humidifier – the air can get very dry in the winter, and if you have a humidifier, make sure that it’s working. The drain line needs to be cleaned. Flush the water tank – The Art of Manliness shows you how to do this with ease. This is done to remove any possible sediment that you do not want in there. 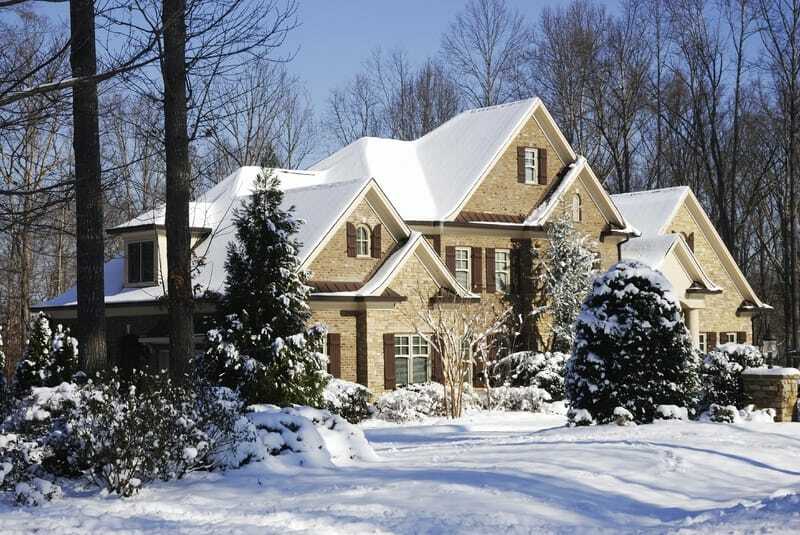 Consider installing heat cables – it may help remove ice dams that can be extremely dangerous and there are both advantages and disadvantages to consider this system. The decision is yours. Place mats – if it snows, all sorts of things may get carried into the home, which you do not want. Make it the norm that footwear is removed at the door and that mats are used. Have supplies ready – if you get hit by a storm, do you have all the supplies ready that you will need? Although for hurricanes, this list very well helps you make sure you have all the supplies you will need if there is suddenly a storm coming to your area. Protect pipes – pipes should be prevented from freezing or they may burst. Especially in areas of your home that you choose not to heat, it is crucial that you insulate the pipes. The rooms that are heated will naturally provide enough heat to the pipes to prevent freezing from happening. The same way you will want to do home maintenance in the fall, there are also things that need to be done in the spring when the weather is finally starting to get a bit better. Again, we urge you to check your gutters to make sure that they survived the winter and that they aren’t full of leaves, or have been damaged in any way. Pressure wash siding – this may be best to have done by a professional siding contractor. There are several benefits to making sure your siding is kept clean. Revisit caulk and weatherstripping – so you came out on the other side of the winter. Now is the time to make sure the caulk kept up. Make sure the sprinklers are working – if all of a sudden you start seeing massive amounts of water forming in certain parts of your backyard, it’s probably a sign that your sprinkler is not working as intended. Troubleshoot and have the issue fixed to ensure even watering of your lawn. Check your porch and deck – wood needs to be stained once in a while to make sure that it lasts as long as possible, and now may be time to do it again or have it done by a deck contractor. Inspect your roof – you might have had some bad weather during the winter and it’s always a good idea to check your roof again just to make sure there are no issues with it. Clean the grill – you’ll want to fire that thing up and a clean grill will make better barbeque, and it does not need to take more than 15 minutes. Paint your front door – given the weather outside, now is the perfect time to give your door a new coat of paint. Check your home’s foundation – if there are any cracks, make sure to have them checked out by a pro. Clean the air conditioning unit – check the belt’s tension and make sure it’s right. If not, you will need to fix it, which may involve replacing it. Lubricate your water heater – this includes the motor and circulating pump. Check what you will need to do to properly maintain your water heater. Replace broken door and window screens – you want to keep bugs as well as mice out. If there are holes in the screens, it’s an easy way for a mouse or bug to enter, and either repair it or replace it. Go around the house and check for water leaks. The sooner you can get leaking pipes repaired, the better. Here’s a video showing how you replace a window screen. Check the sump pump – you want to avoid water damage, so a well-functioning sump pump is needed. Consider installing a backup battery. P0wer-wash concrete and seal it – spring is a great time to seal your concrete, and it doesn’t need to be hard. Revisit landscaping – what are your landscaping goals for the year? You could sit down with a landscaper to talk about your options. Change batteries – the batteries in the various detectors you have in your home should be changed once a year to ensure protection against fires. 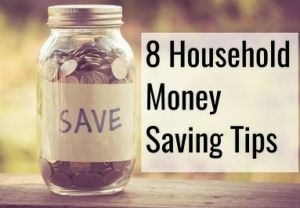 Clean the ducts – it will make your whole system more efficient and save you money on your energy bill, and make sure to change the filters in your home. Revisit your garden tools – tools may have gone dull, and it may be time for you to give them some much needed love. Inspect the attic – you want to make sure there are no unwanted guests living there. Here’s a checklist for you to use while inspecting it. General cleaning – when was the last time you went through the entire house and did a general cleaning? That’s right, it’s probably been too long! Here’s the checklist you need. Check for and address rotted wood – make sure wood is not rotting on your property. If it is repair it. Check the weep holes on the windows – weep holes will help drain rain water, but as they can get clogged up they may start having issues doing just this and will need to be cleaned. Inspect your basement – this checklist includes everything you need to be aware of. Although the weather is now good, it does mean you should forget about home maintenance. It may be more appealing to drink a cold one in the sun, but there’s work that needs to be done. Using checklists, you’ll soon be able to get back to the beer, though. Replacing the roof – if installing a new roof has bee non your to-do list, summer is a good time to get it done. Fix cracks in cement – if there is standing water around cement cracks, it can severely damage it and limit the lifespan. Here’s how to fill the cracks. Be sure to cut overgrown plants. 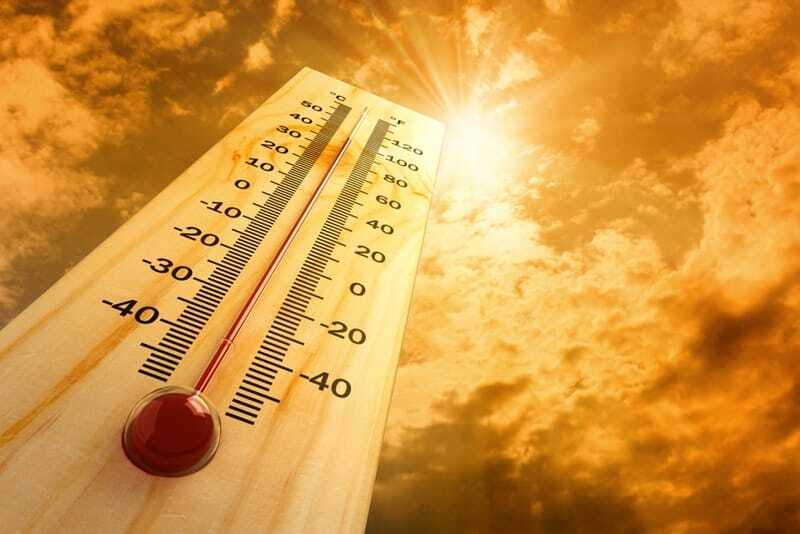 Check the AC – hot weather is right around the corner, and you will be sure to want to make sure that the air conditioning is ready for the work. Does your fence need attention – your fence needs care once in a while. Get it done while the weather’s good in the summer. Clean faucet traps – it’s not hard with this guide. Make sure the ducts and vents in your dryer and exhaust don’t need cleaning – if they do, go ahead and clean them. Paint your home – if your home needs painting, go ahead and get it done now. It will ensure that it stays protected from the elements and is a good investment as well as improving curb appeal. 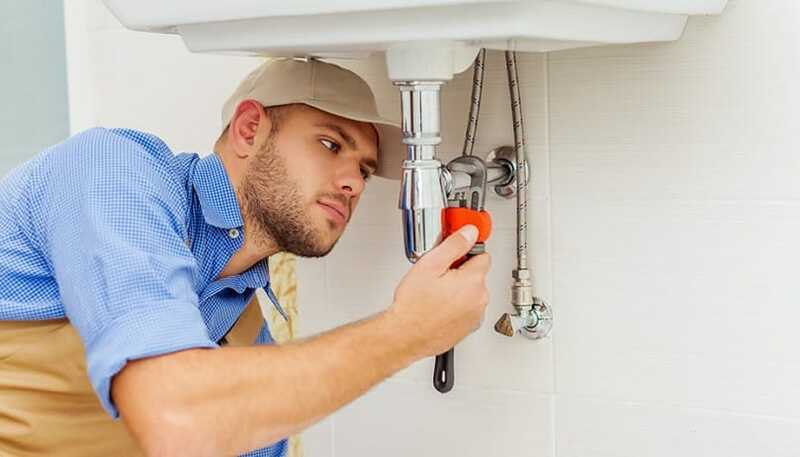 Check your faucets for leaks – if you have a faucet that is constantly leaking, it will add up over time, and it’s better to fix the leak immediately. Add a new layer of mulch – there are many reasons to mulch, including retaining moisture and keeping weeds at bay. Wash the windows – it is not hard to do. Put up an outdoor clothesline – drying your clothes naturally saves money but also makes you emit less CO2. Clean the dishwasher and garbage disposal – here’s how to clean the garbage disposal and the dishwasher. 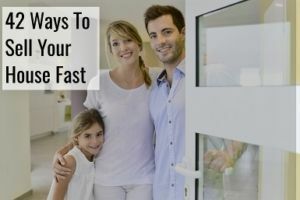 Pay attention to your baseboards – truly cleaning your baseboards is a thing that many people forget to do, but it’s good if you can make it a habit, at least to do it once a year. Provide some much needed love for your washing machine – inspect the seal, and make sure there are no stains inside of it. If there is, you can remove it with a chlorine bleach and water mixture. Change your furnace filter – again, it needs to be done, and is often not done sufficiently often. Cleaning your air conditioner filter – here’s the process you will need to follow. 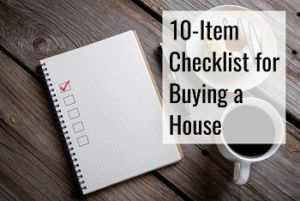 Hopefully this list has helped you get a better understanding of the different things that need to be maintained in your home, and has allowed you to make a checklist that will make the whole process easier for you. In the future, we plan for this resource to also cover HVAC, your garden, the air conditioner, the septic tank, the roof, the boiler, garage door, water heater, furnace, gas fireplace, sump pump, dishwasher, swimming pool, plumbing, heat pump, chimney, deck, pond, toilet and siding in more detail. 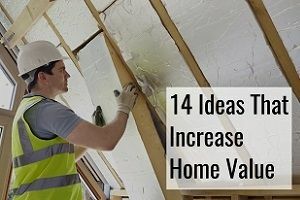 Until then, we believe that this list will definitely cover the vast majority of the things you need to be aware of when it comes to home maintenance. What’s important to remember is that a small problem now could easily get a lot bigger if left untreated. You should also know that although we have tried including as many things in this list as possible, there might have been ones that we forgot.